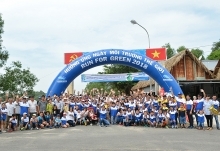 The Mekong Delta province of Hậu Giang has been urged to establish a community-based monitoring mechanism to evaluate papermaker Lee & Man Vietnam Ltd.’s environmental treatment. 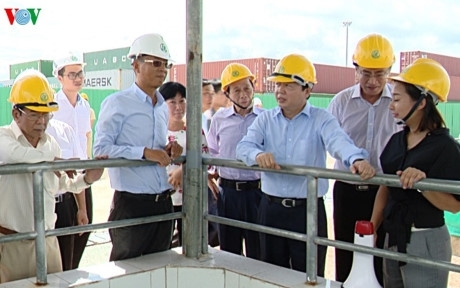 During a visit to the company’s paper mill last Thursday, Minister of Natural Resources and Environment, Trần Hồng Hà, asked the papermaker to complete a standard procedure for management and operation of its waste treatment, and to keep daily records of materials used for environmental treatment and to publicise them. The firm was also requested to ensure the capability of solid and hazard waste treatment providers, and to control odors, particularly at night and when it rains. The minister assigned the province to make a list of local firms dumping a lot of waste and submit it to the ministry, and to set up a system for automated surface water quality monitoring along the Hậu River and transfer the data to the provincial Department of Environment and Natural Resources. Lee & Man Vietnam Ltd. has completed the construction of a US$1.2 billion paper factory, which started in 2007, at Phú Hữu A Industrial Cluster along the Hậu River in Hậu Giang. It is the largest paper factory in Việt Nam and one of the five largest in the world, capable of manufacturing 330,000 tonnes of pulp and 420,000 tonnes of packaging paper a year. It disposes an estimated 13,000cu.m of wastewater per day. Last December, the facility was allowed to begin testing its waste treatment plant, but then ceased operations due to pollution. The company was accused of making a noise, causing dust and emanating a bad odour, affecting the nearby households. It later took responsibility for the pollution. Minister Hà visited the affected households and asked them to continue informing local authorities about the factory’s operations. The ministry plans to allow the factory to begin operations at the end of October.